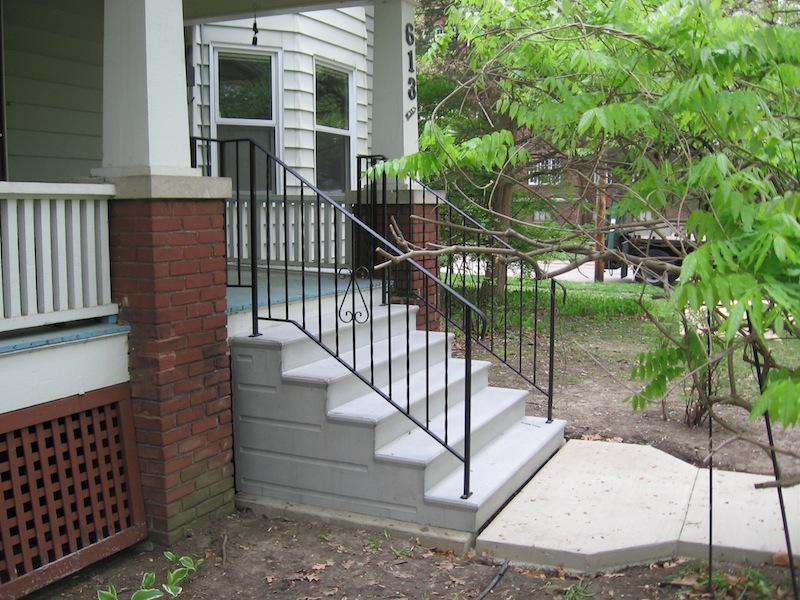 Unit Step has been building steps in Joliet, Illinois since 1955. Our product are manufactured in a controlled environment which ensures consistent quality. 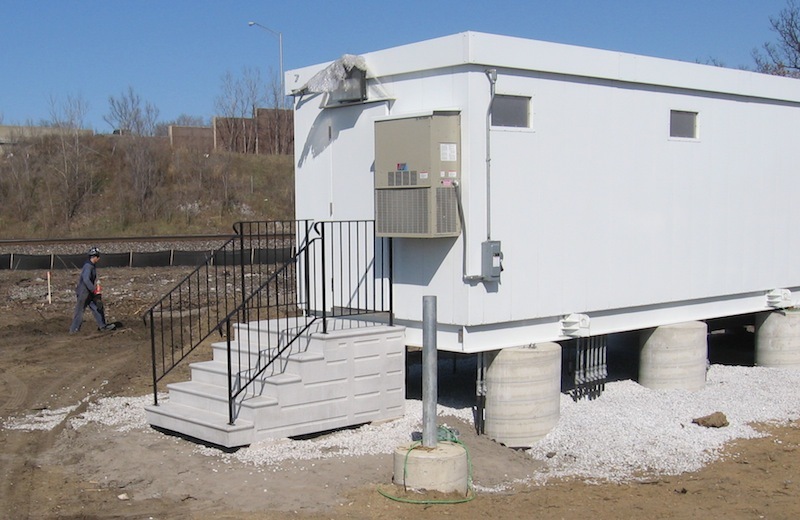 Our own batch plant on site makes the high quality concrete needed for durable results. 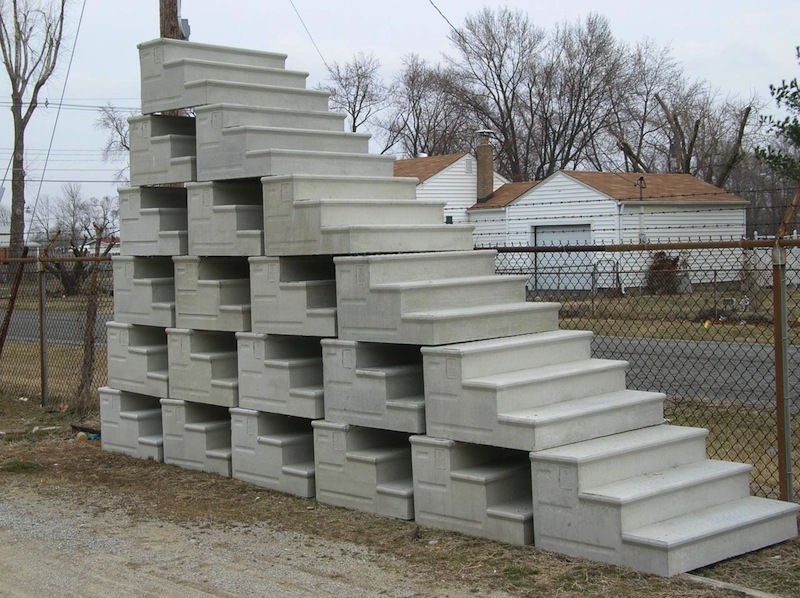 There are hundreds of different concrete items stocked in our yard, and we make custom pieces to order. Steps are our specialty. 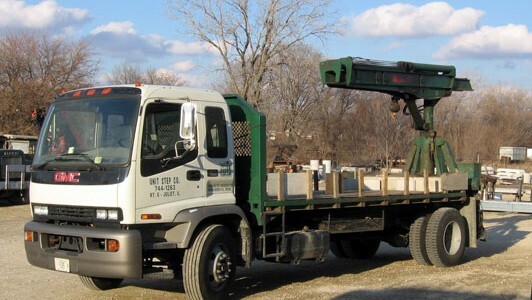 Some other things we make include Parking Bumpers, Flower Pots, Bird Baths, Benches, Transformer Slabs, Median Barriers, Sign Bases, Patio Stone, Splash Block and more. 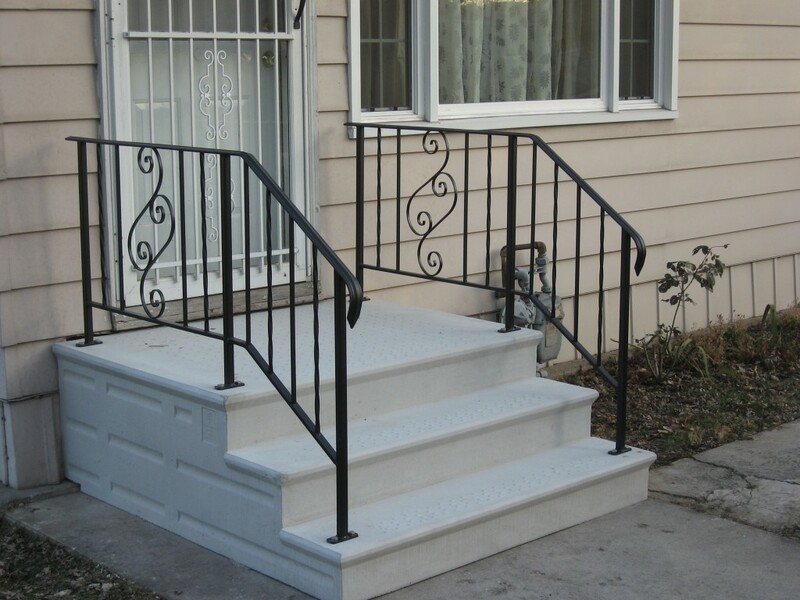 In conjunction with the precast operation, we also manufacture railings and ornamental iron in our steel fabrication shop. This is mainly custom type work. Railings, Gates, Spiral Stairs, Fencing, and Security Bars are some things we build.